Less than 3 days are left until the launch of Google’s much-anticipated Pixel 3 and Pixel 3 XL. Ever since Google launched the Pixel series in 2016, the smartphone has become quite popular. Some would even say that the smartphone is a direct competitor to the Apple iPhone. Even though Google has not yet officially announced the Pixel 3 and Pixel 3 XL yet, but a barrage of leaks, rumors, and teases indicate that we will see a new pair of Pixels on October 9. We know the release date because Google has already sent out official invites to the event. We also have some information on the pricing of the Google Pixels as well. The thousand-dollar question (pun intended) is: how much will the Google Pixel 3 and Pixel 3 XL cost? We consider the Pixel 2 and Pixel 2 XL with authentic rumors to speculate the price of the new Pixels. The base model of the Google Pixel 2 and Pixel 2 XL were priced at $649 (almost 80,000 PKR) and $849 (almost 100,000 PKR) respectively. The Google Pixel 3 is expected to launch at a starting price of $749 which will cost us around 90,0000 PKR here in Pakistan. 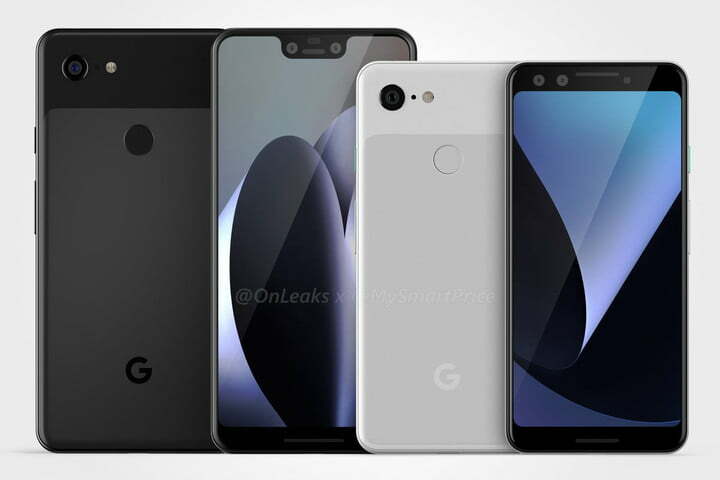 The Google Pixel 3 XL, on the other hand, is likely to become the first thousand-dollar smartphone by Google with a base price of $1000 which will cost us around 120,000 in Pakistan. The Google Pixel 3 is not an economical phone by any means, but it offers sublime performance, an unmatched camera, and the best that Android has to offer. Though there is news that Google is working on a budget Pixel phone which will launch sometime during the summers in 2019. We know how the third iteration of the Pixels will be priced, let’s now take a look at what rumors and leaks say about the specifications of these smartphones. The Pixel 3 and Pixel 3 XL will launch with the Qualcomm Snapdragon 845, a 2960 x 1440 resolution, 4 GB of RAM in the base model, and 2915 mAh battery with support for fast charging and wireless charging. The latest Pixels will come with Android Pie (9.0) out of the box with support for new and improved productivity features. For instance, you will be able to draft an email to businesses just by scanning the business card, take a screenshot with the power button, and improved artificial intelligence for not just the camera but the overall user experience. The Pixel 3 XL will feature the infamous notch design to sport an edge-to-edge display. The notch will be unlike any other though since it will be big and deep to accommodate the dual-camera setup on the front. The Pixel 3 will not have the notch and will feature the standard notch-less bar form factor. Unlike the Pixel 3 XL, the Pixel 3 will not have the dual front cameras either. Improved overall camera and artificial intelligence with a single camera on the back. The Pixel 2’s camera is still regarded as one of the best cameras in a smartphone, so we expect minor improvements in the camera department. Black, white, pink-hued ‘sand’, and mint color options are expected to be available. Black and white are confirmed but there is some air of uncertainty about the sand and mint colors. When will the Google Pixel 3 and Pixel 3 XL be available in Pakistan? Google has hinted that the Pixel 3 and Pixel 3 XL will be available for pre-order right after the announcement on October 9. We expect that online stores in Pakistan to make the Google Pixels available for pre-order soon after that as well. You will be able to get your hands on the Google Pixel 3 and Pixel 3 XL by the end of October if you pre-order. We will keep you updated with the release, availability, and price of the Google Pixel 3 and Pixel 3 XL in Pakistan.